But for even better performance gain, upgrade to System Cleaner. 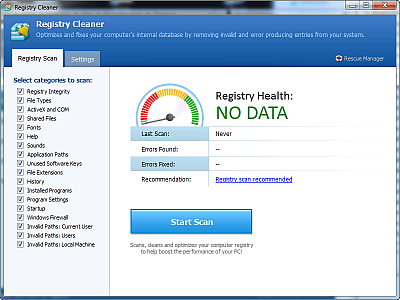 It includes Registry Cleaner with its every feature and advantage, plus over 20 tools for complete computer maintenance and optimization. Problems with the Windows registry are a common cause of Windows crashes, slow performance and error messages. By using a registry cleaner regularly and fixing registry errors your system should not only be more stable but it will also help improve your system performance without expensive hardware upgrades.